Compare the slope-intercept form of a linear equation to its graph. 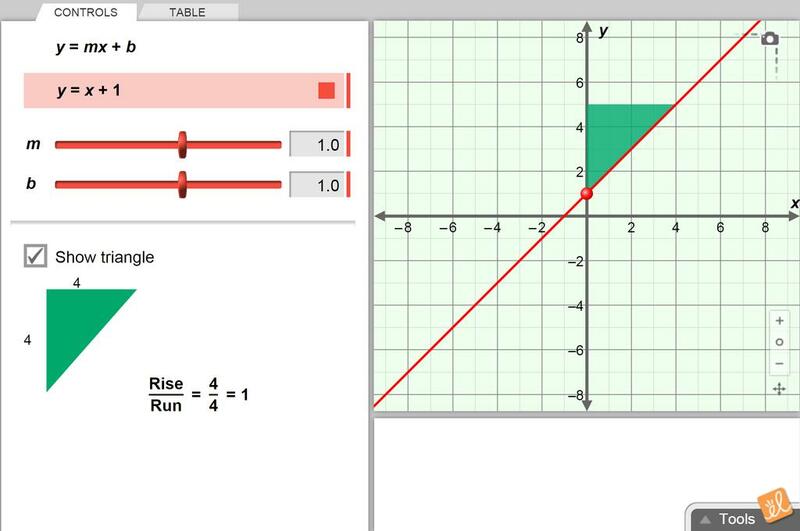 Vary the coefficients and explore how the graph changes in response. This is an extension using the base of the lesson materials to explore parallel and perpendicular lines i... (more)n slope intercept form. Slope and Constant Rate of Change. An efficient method for students to explore relationships between slope-intercept form of linear equations & the graphs of those equations. I highly recommend this Gizmo for a beginning Algebra class.